It’s about figuring out what you want, who you are, and who you want to be. It’s the pain of having your beliefs and idea of self brutally shattered; the pain of finding out that you are not who you want to be, that you are not who people want you to be, or that who you want to be is not who people want you to be. At the same time, it’s about finding comfort in the fact that who you are now is formed by your connection with others. Humanity’s individuality, in the end, ends up as a saving grace. Where in a society such as the primitive Chimera Ants’, self-realization and actualization would spell the end of life as part of that system, they are but growing pains for humans who are, by nature, alone. Lifting a phrase from Evangelion, man cannot erase the sorrow of loneliness because all men are fundamentally alone. It’s about the pain man will endure to feel their connection with others and the pain they inflict on themselves to maintain that connection when they have no obligation to do so. 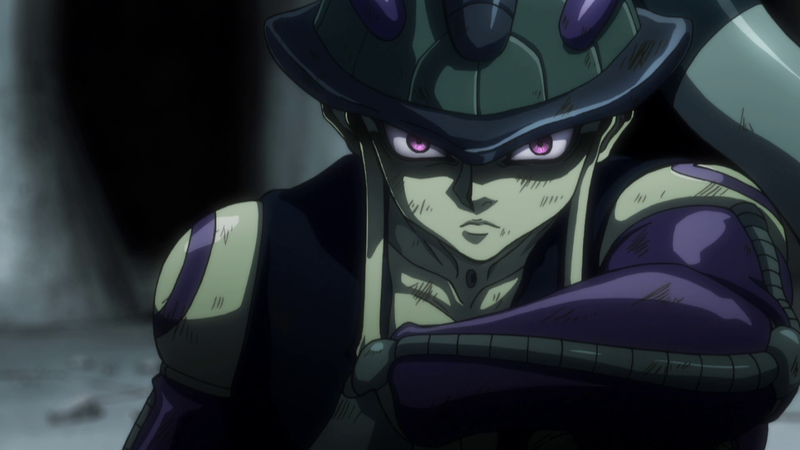 Meruem desires to be alone with what he loves most and in doing so betrays his mother and his species’ wishes. Though he loses his subjects, he gains control over his own self and happiness. In the end, he experiences humanity’s own brand of evolution, a continuous cycle of breaking and building one’s self up, evolution not just for survival but for happiness. It seems Meruem, too, is delicate like glass.